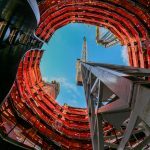 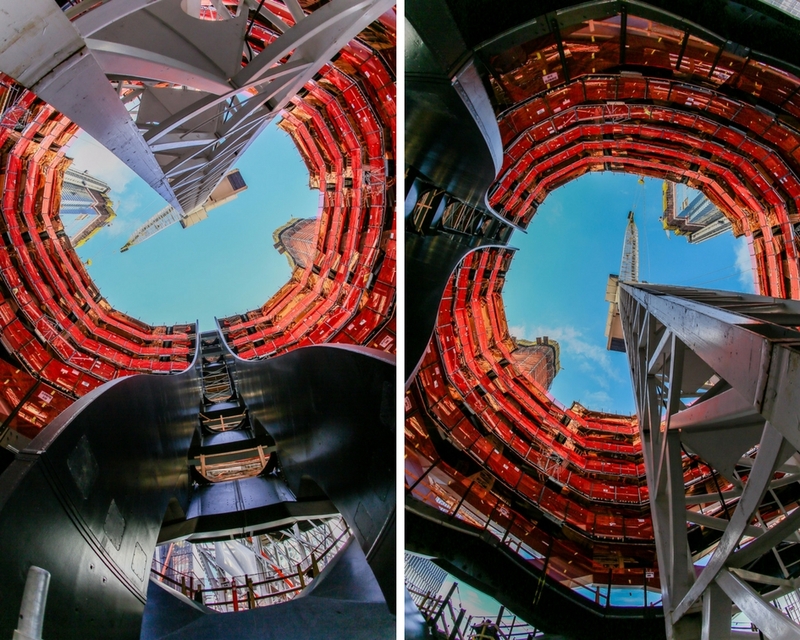 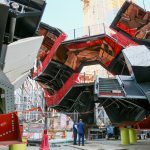 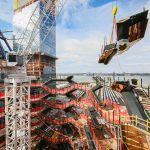 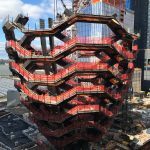 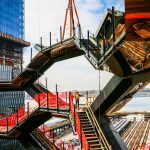 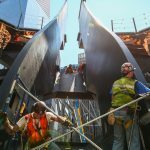 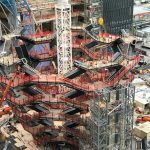 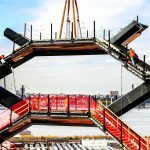 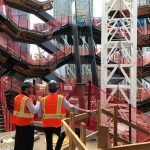 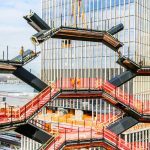 The Vessel, the 150-foot vertical sculpture, topped out on Wednesday, following eight months of construction at the Hudson Yards site. 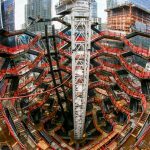 Designed by Thomas Heatherwick, the 600-ton structure made of bronzed steel and concrete will sit in the center of the development’s public square. 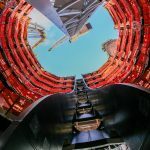 It includes 154 intricately-laced flights of stairs and 80 landings, rising from a base that measures 50 feet in diameter and widens to 150 feet at the top. 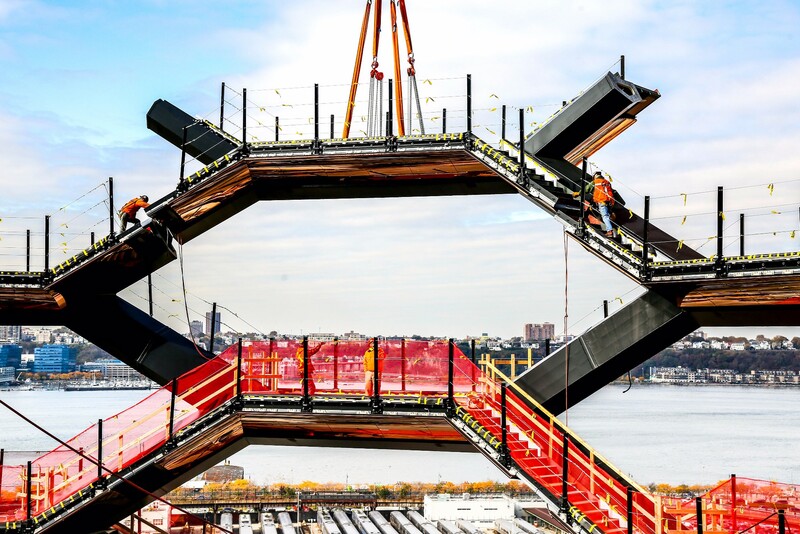 The landmark offers a one-mile vertical climbing experience, allowing for unique views of Manhattan’s evolving West Side. 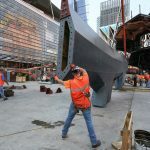 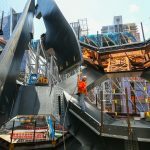 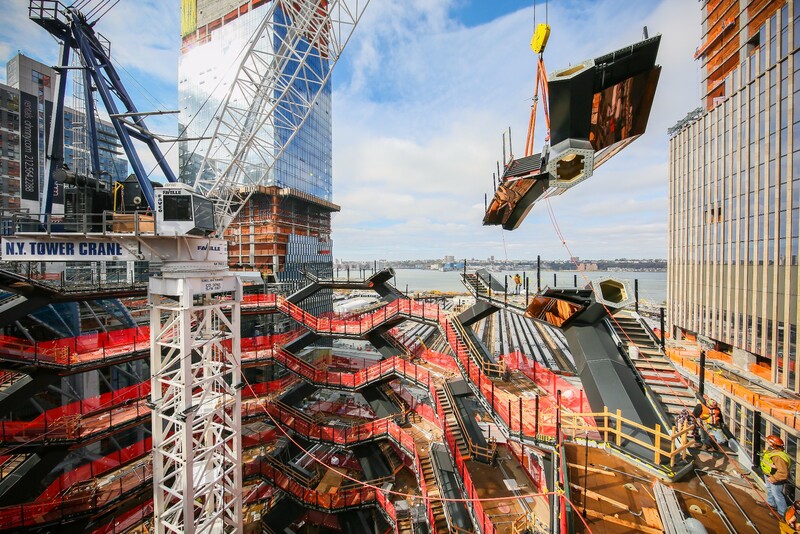 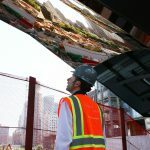 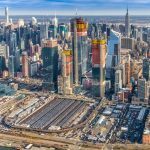 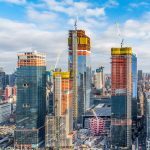 Related Companies, the group behind the Hudson Yards development, created a time lapse of the Vessel rising, beginning with the fabrication of pieces in Italy, followed by its first placement and then, finally, the structure’s topping out on Wednesday. 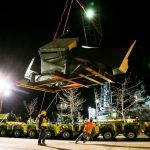 Fabricated in a facility in Monafalcone, Italy, the pieces arrived in Manhattan in six separate shipments after traveling for 15 days by sea. 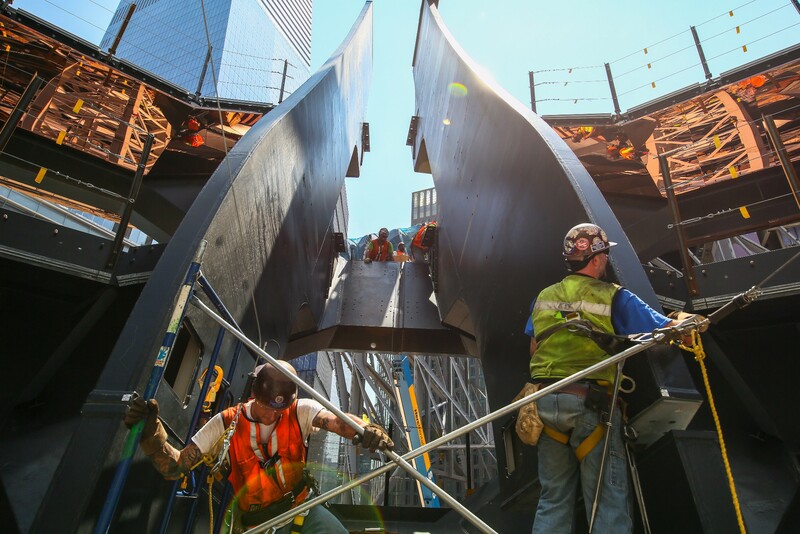 The public landmark is composed of a structural steel frame covered with a polished copper-colored cladding. 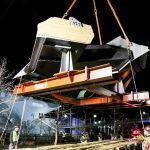 Over the coming months, the finishing components will be installed as well as landscaping items. 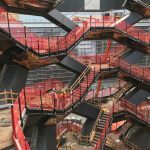 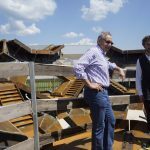 Stephen Ross, who is credited with the idea of the Vessel, called the landmark “New York’s Eiffel Tower.” The interactive sculpture, which will be able to hold 1,000 people at a time, will sit in the center of a 5-acre plaza and garden with lots of greenery. 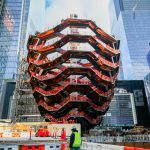 The Vessel will not open to the public until early 2019. 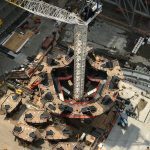 See even more construction shots in the gallery below.